In many small size devices, human hands may fail to tighten screws perfectly. For screw tightening of all such products, China based Huizhou Shengyang Industrial Co., Ltd has launched an automatic screwdriver robot and a screw tightening machine. There are a few kinds of small size products, such as mobile phones, home appliances, medical devices, and other electronic items, where human hands may not be capable enough to tighten screws to keep every small component intact in the products. Huizhou Shengyang Industrial Co., Ltd develops Automatic Screw Locking Machines and automatic screwdriver robots that can perfectly tighten even a miniature size screw without any difficulty. These automatic machines can easily work in narrow and compact spaces to tighten screws, and can apply to all types of screws of different sizes. According to the company spokesperson, they have designed the automatic screwdriver robot that is the result of hard work and a concentrated R&D effort. The robot adopts the vacuum suction method to get a perfect hold on a screw and tighten it in a given screw hole of a product. The product features a very high universality and can easily overcome the problem of the blowing screw. The spokesperson reveals that magnetic suction often poses different kinds of challenges when it comes to tighten screws in a small space, while the vacuum suction overcomes these difficulties and can accomplish a perfect screw tightening. For example, the magnetic suction method will fail if a stainless steel screw is used. On the other hand, the vacuum suction method can work for all types of screws, including stainless steel screws. With a strong commonality, the robot applies to all types of screws used in different industries. Irrespective of the material of the screw and the length to diameter ratio of the screws, the robot can carry on the perfect screw tightening work. The automatic working function of the robots can help in reducing the extensive use of the manual labor and hence can save on costs. The spokesperson maintains that the traditional and the manual way of screw tightening requires a lot of time and energy, while these screw tightening robots can complete the work in a rather speedy and easy manner. Moreover, the robot is easy to install and can simply be set to operate automatically to continue the screw tightening task. 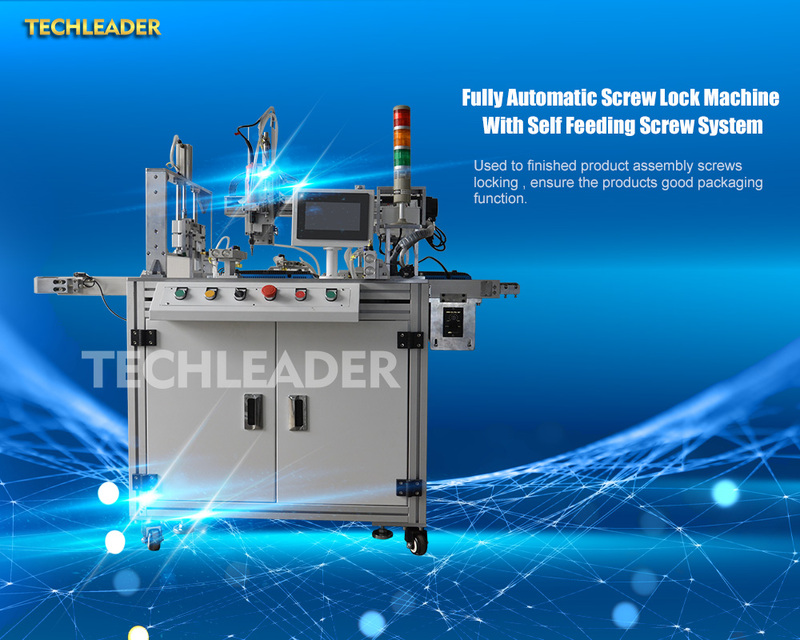 The company also excels in the design and development of the Automatic Screw Locking Machine that comes with a small and lightweight screwdriver for the screw tightening work in an automated manner. The complete machine has low weight and operates with a very low noise. The machine features an ergonomic structure, allowing workers to hold it in their hand without any difficulty and carry out the screw tightening work with ease and perfection. The machine is convenient to use and offers quick and clean screw tightening to meet the requirements of different industries. To know more about the screw tightening robot or machine, one can visit the website https://www.automaticchina.com/.